Over the last six weeks, Sudan has seen the birth of a decentralised and leaderless protest movement against the government, known as the “Sudan Revolts”. This is in response to the virtually bankrupt Sudanese government has scrapped all fuel subsidies, and has more than doubled the price of petrol. Around 1,000 students and transport workers have marched through the city of Nyala, burning police stations, and petrol stations along their way. Violent clashes with the police followed, who used live ammunition and tear gas in an attempt to stop the march. It has been reported that at least 12 people were killed, including 6 primary school children. Those who were killed all had gunshot wounds to their heads and upper bodies. This is in conflict with the police version of events in which they claim to have aimed for lower parts of the body. Despite using live rounds to shoot people, the police claim that it was an attempt to “diffuse the situation” rather than to kill people. 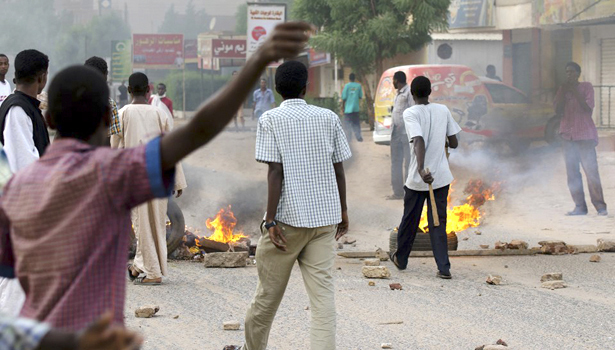 The protests have spread to in and around Khartoum, and Port Sudan. Despite the shootings in Nyala, it is thought that the government’s general response has been “tactical and restrained” as they fear an eruption in Khartoum. “The government has made it a specific policy order to the police and to intelligence not to kill a single protester. They do not want a martyr around whom people can rally. There have been other signs of caution as well: in mid-July, the government released 12 prominent anti-regime activists who had faced potential death sentences”. Sudan is in dire financial straits, due in part to disputes over oil revenues with south Sudan, and loan repayments to Qatar. Austerity measures have led to a reduction in salaries, electricity prices have tripled, and gas prices have doubled. Currently the protest movement in Sudan is small and disorganised, and talk of an ‘Arab Spring’ style uprising is premature. Should the movement gather pace and escalate, the state have already demonstrated their willingness to murder people, despite claiming to be ‘showing restraint’. Clearly they will not go without a fight.